•	Teaches human resource majors to overcome challenges within organizations. •	Enables students to evaluate their skills, observe real-life solutions, apply their learning, and connect theory and application. 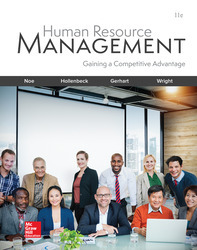 •	Allows instructors to use case analyses, hot-seat videos, certification guidance, self-awareness exercises, evidence-based human resource demonstrations, and a self-assessment library.